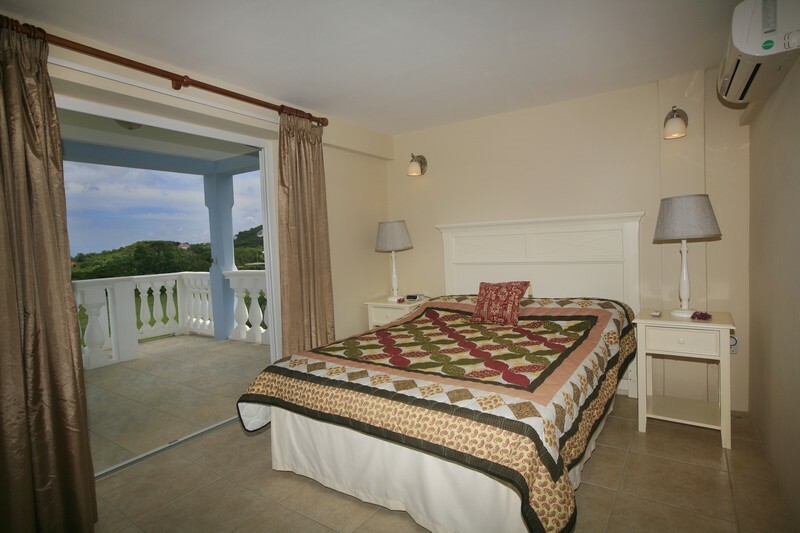 The villa is situated on the fairway of the 18 hole Championship golf course at Cap Estate. 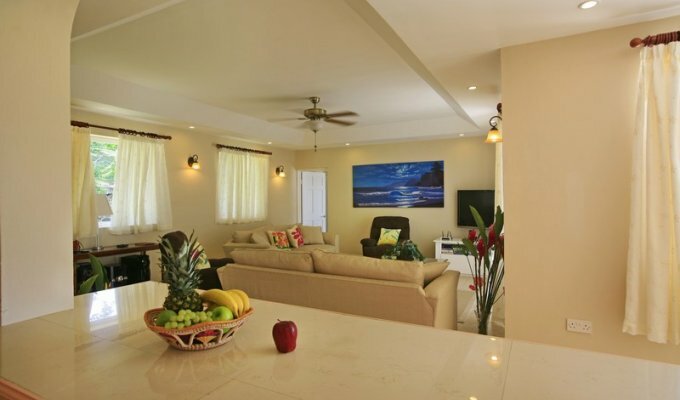 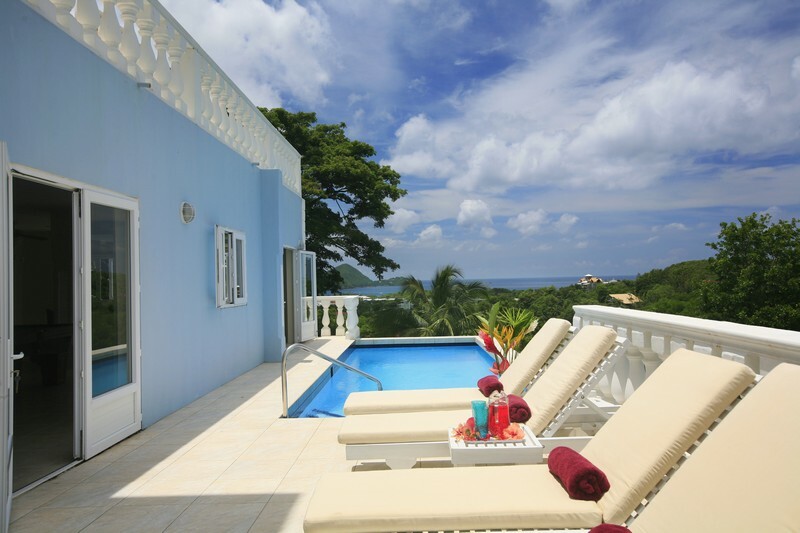 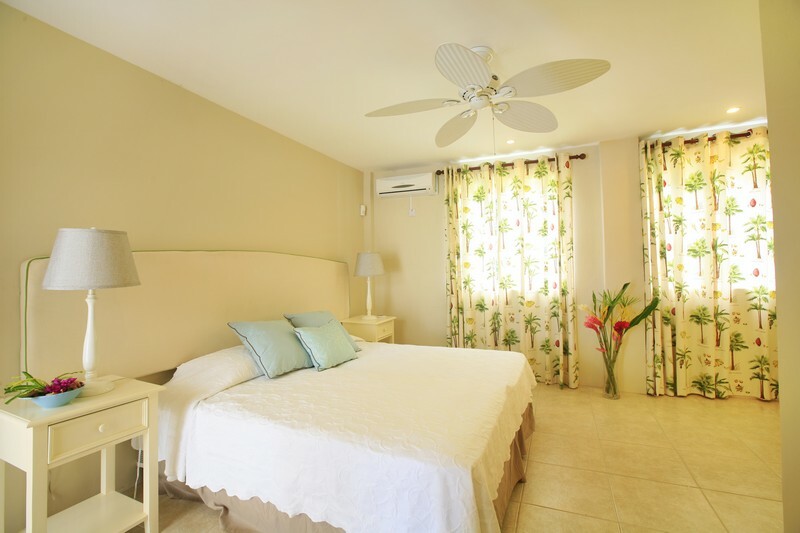 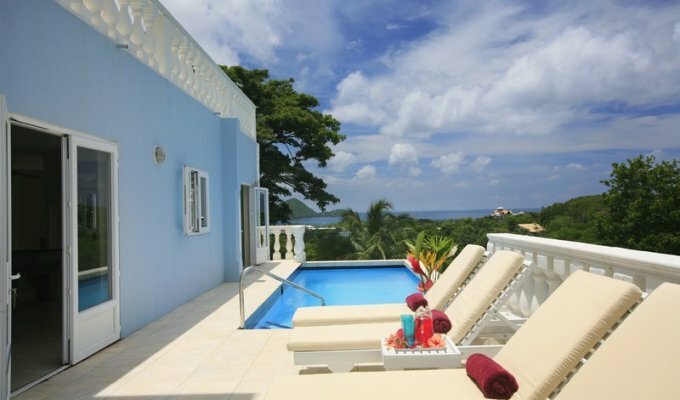 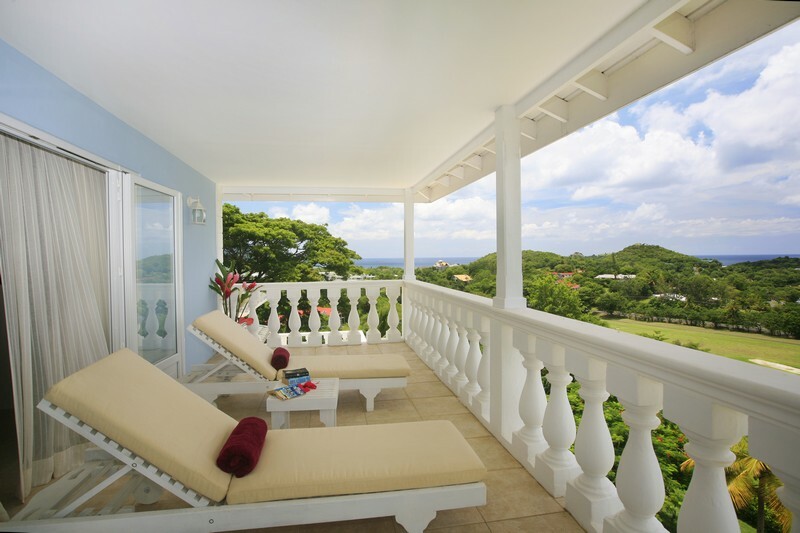 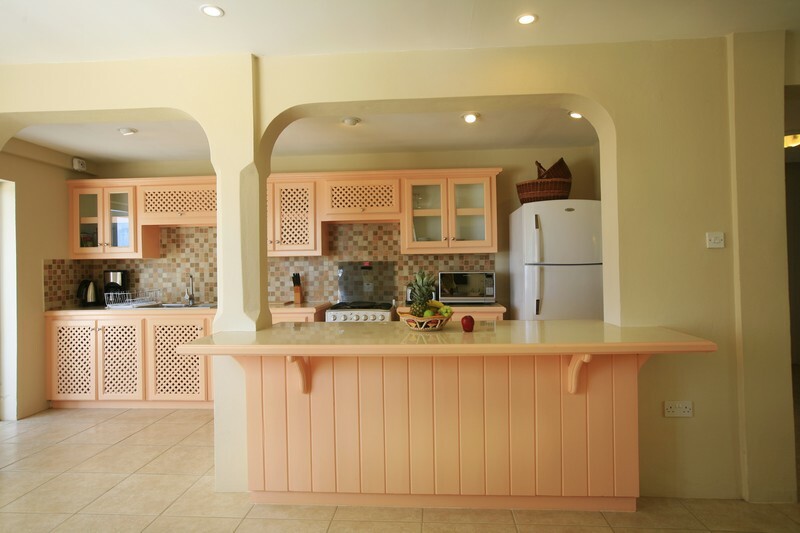 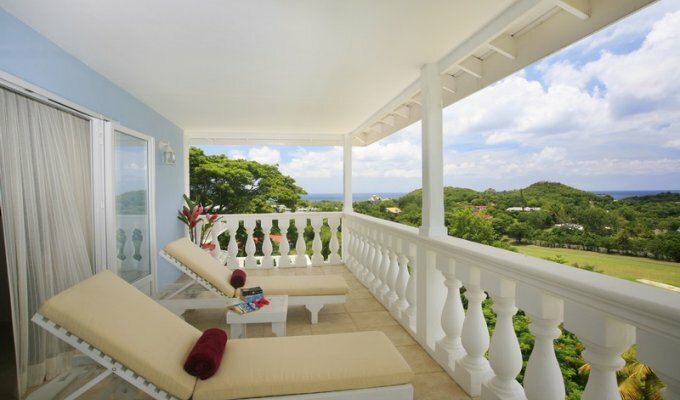 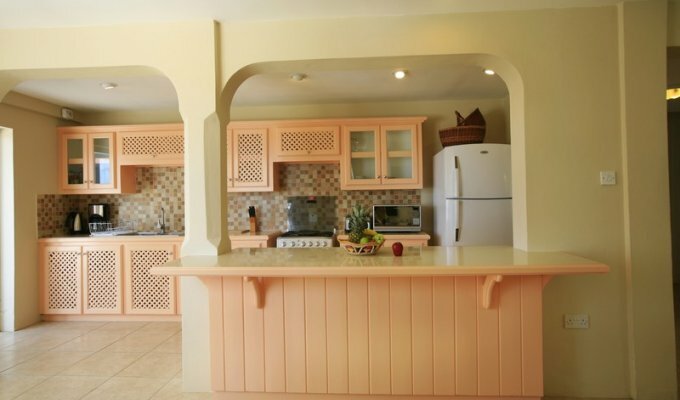 The villa enjoys wonderful views of the golf course and out to the Caribbean Sea. The villa is built on three levels. 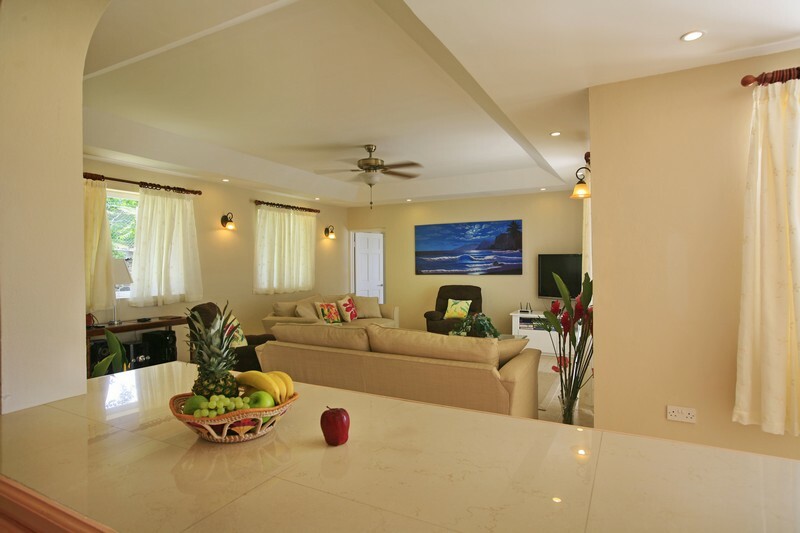 You enter into an open plan sitting room with a well equipped kitchen. 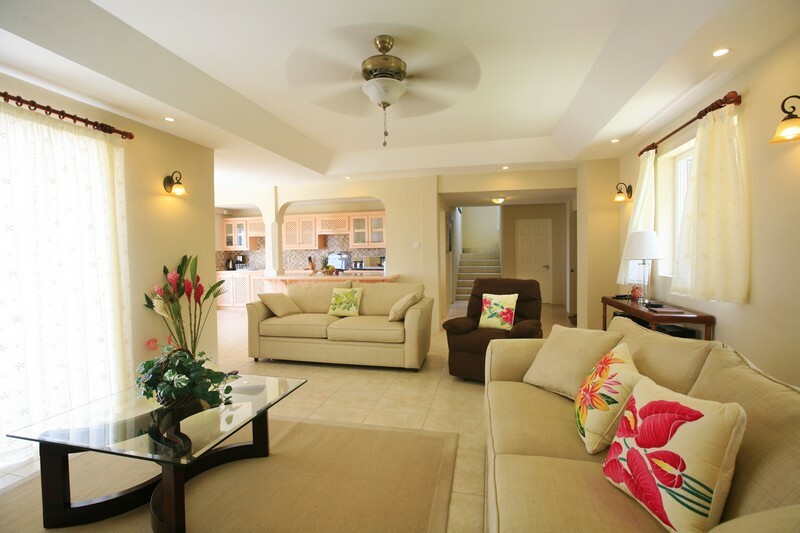 The sitting room has comfortable sofas and chairs for relaxing, listening to music or watching TV. 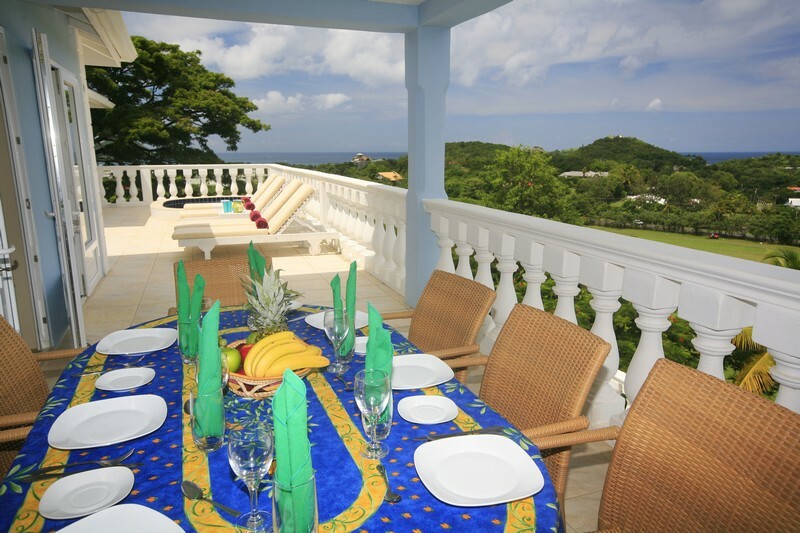 This room opens out onto a spacious patio with a table that can seat 8 persons for alfresco dining. 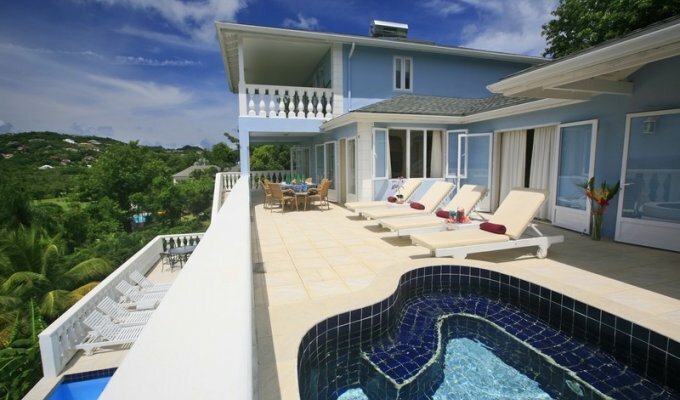 At the far end of this patio is a Jacuzzi pool. 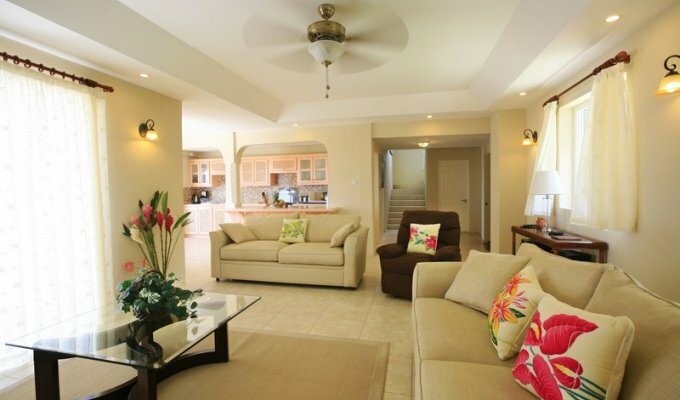 At the lower level is another patio with a swimming pool and chairs for relaxing in the sun. 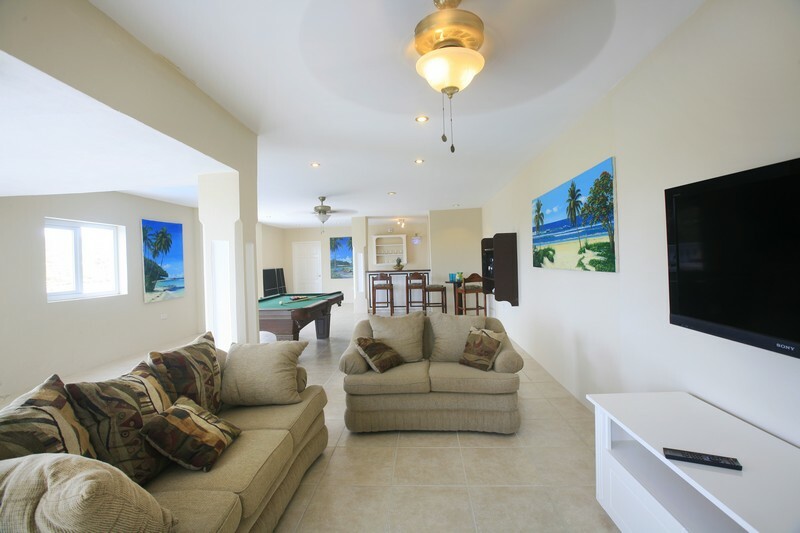 From here you can access the large games room - fully equipped with a pool (billiard) table, TV and stereo. 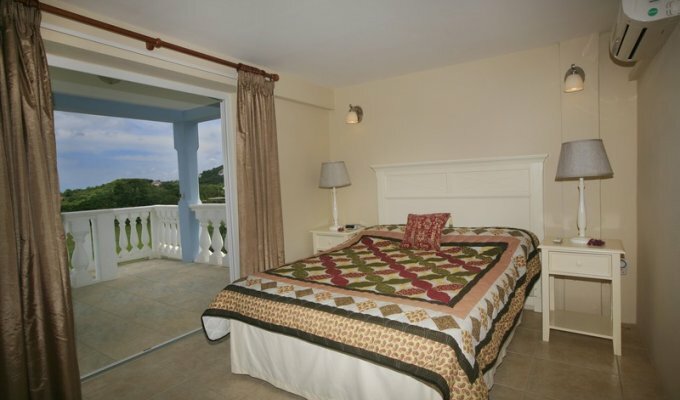 Bedroom 4 is off this room and is also air conditioned with an ensuite shower room. 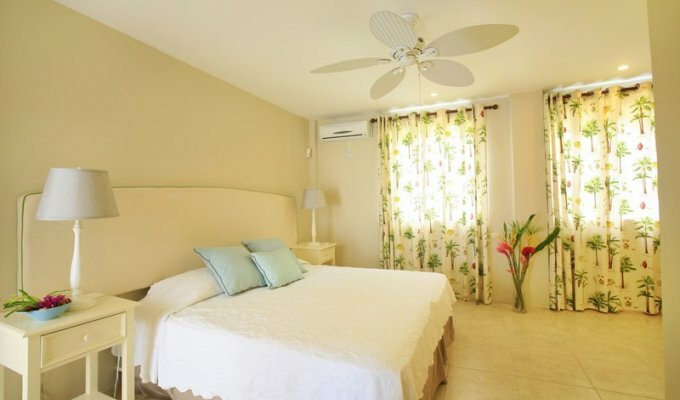 It has two zip and link single beds which can be joined to make a king bed. 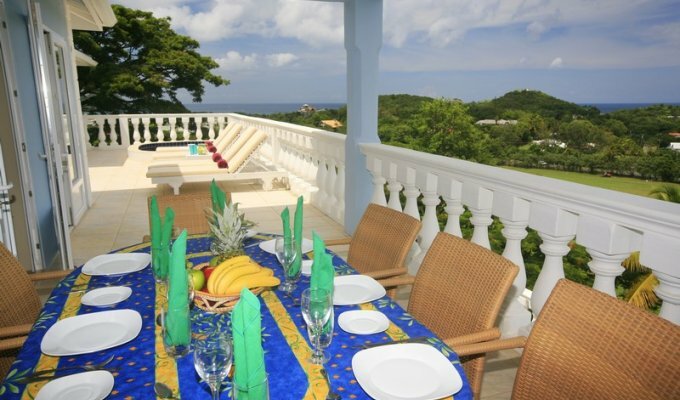 The villa is situated in an acre of landscaped garden, filled with tropical palm trees. 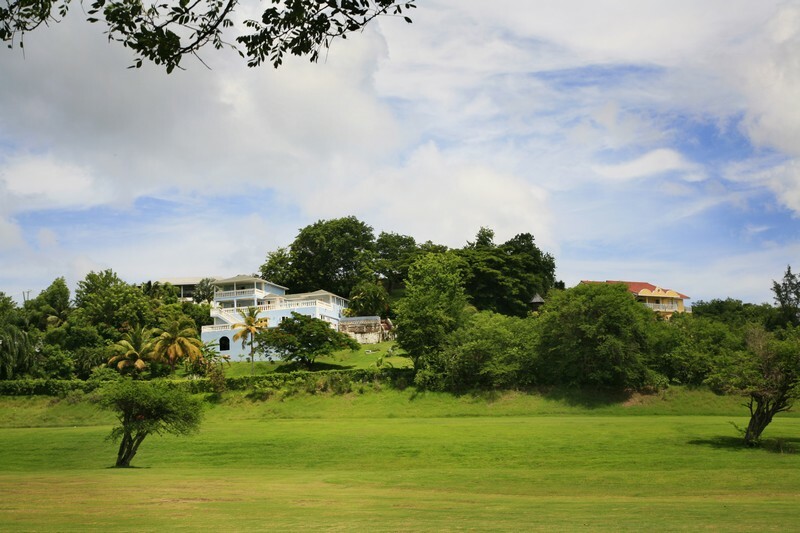 The garden is both fenced and gated. 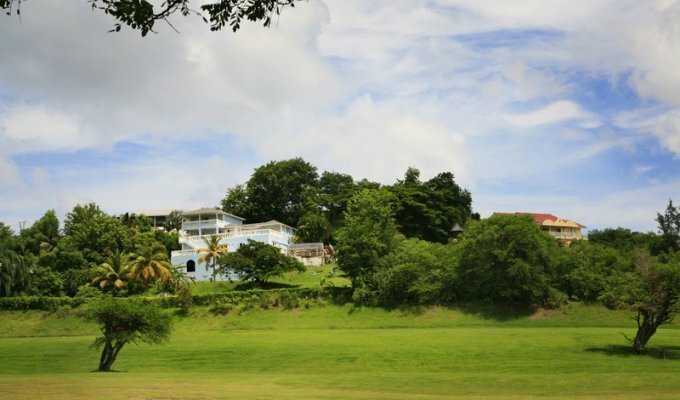 Children 10 and under only accepted with a signed waiver form. - Christmas / New Year - All villa rates are subject to 10% Christmas supplement and minimum 14 night booking. 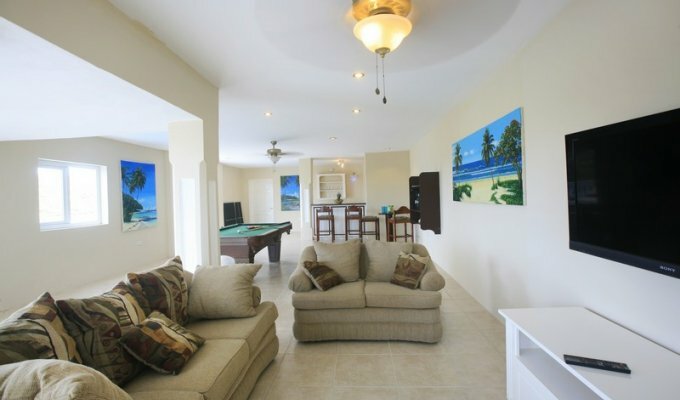 - access road is rough and rental of 4 wheel drive vehicle recommended.